Nothing But Digital knows the importance of quality Magento website development. Magento is a powerful e-commerce tool. Developed correctly it has provided a streamlined customer experience, and the need for efficient, effortless functionality with our clients. We expect an e-commerce website to be intuitive, with smooth navigation that is user-friendly. Because the user or buyer journey is won or lost from this experience. We use Magento for our e-commerce website development because it can grow and develop with your business as it grows. Many e-commerce platforms are rigid, and while they can look beautiful when first developed, they aren't made to move in the direction of your company growth. Magento is our first-choice e-commerce platform. Because it is flexible, like we are. Talk to us today. 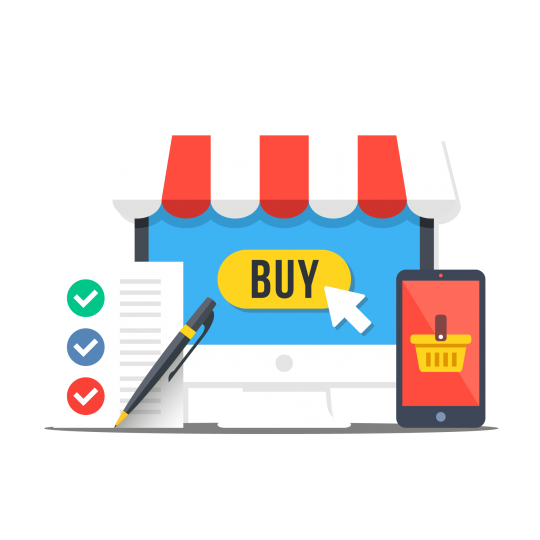 Our team of certified Magento website developers offer a variety of tools such as marketplace to extend your store’s features and make it more competitive. Magento’s features extend far beyond payments, processing, cataloguing, and security. For example, the Customer Relationship Management (CRM) feature integrates with existing systems and turns data into sales. It provides instant communication with your customers and allows you to create reminders and tasks and send out targeted notifications. We take SEO into consideration when building your site. We will speed up your website’s loading time, simplify navigation, generate a site map, and help avoid duplicate content. Magento’s SEO algorithm provides information in the form of scores, on how well each category and product is optimised for SEO. We then use our expertise of Magento website development to turn the data into ways to improve sales. Magento plays the lead role in our e-commerce strategy, especially due to its multi-channel functionality.When you talk to a consultant at Nothing But Digital, find out about the wide array of features and the Magento website cost. We will listen to your needs and develop a quote accordingly. It is all a part of our Magento website development service. Start the conversation today around customisation, add-on modules, and other options for your online store. WE BUILD E-COMMERCE STORES THAT DRIVE SALES. Are you interested in getting a stunning, high-converting digital platform? Drop us a line and let's chat!